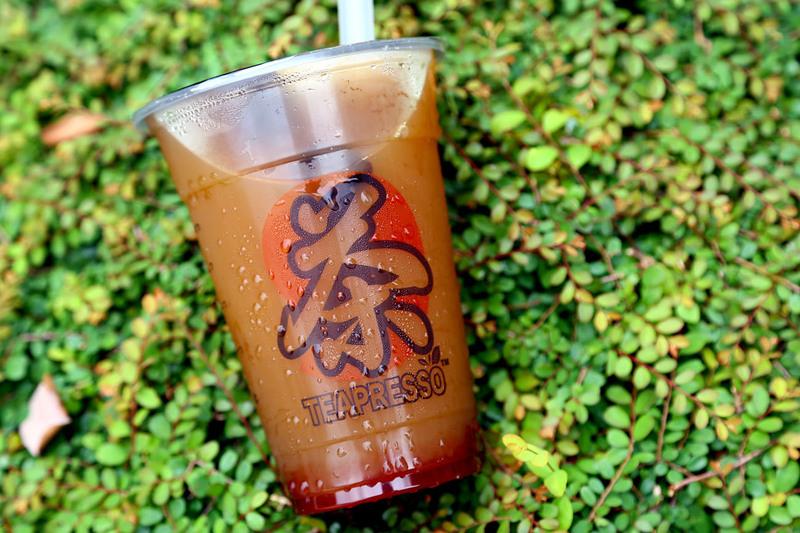 Teapresso – Freshly Brewed Tea Drinks & Grilled Oki Machi. This Is Different. 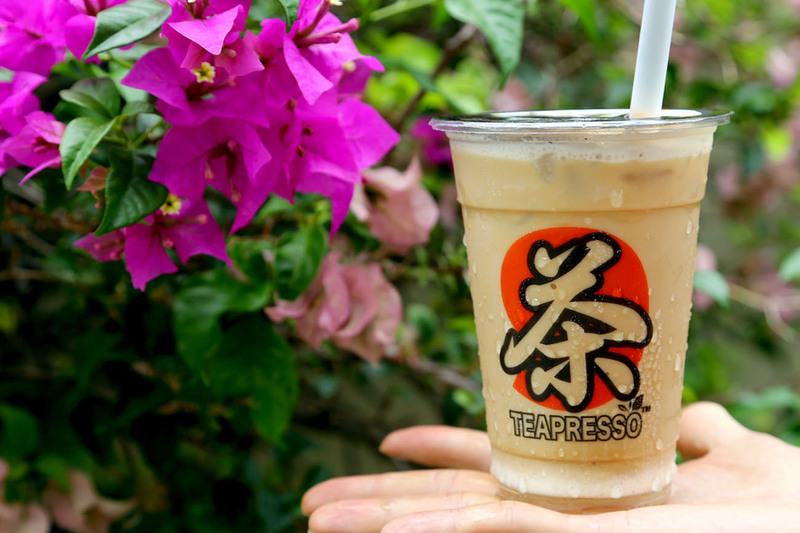 Teapresso is quite unlike the typical bubble tea shops you see out there. 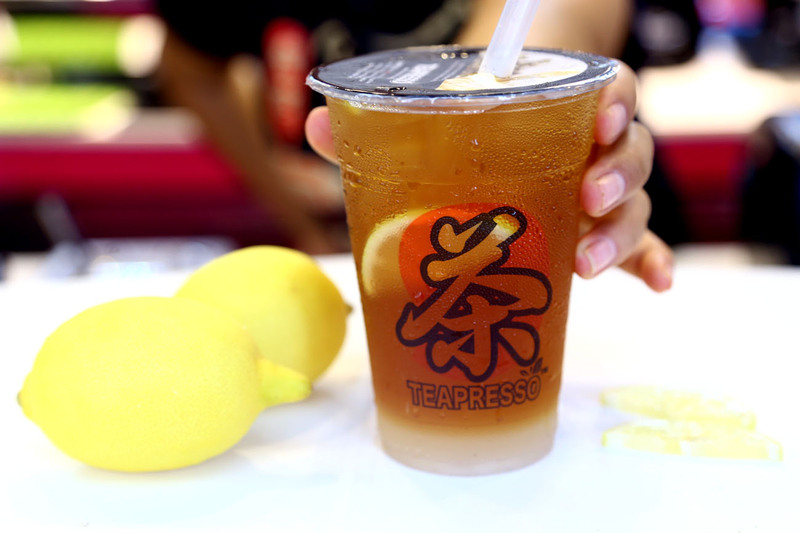 A major difference is, tea is actually brewed and extracted on the spot. 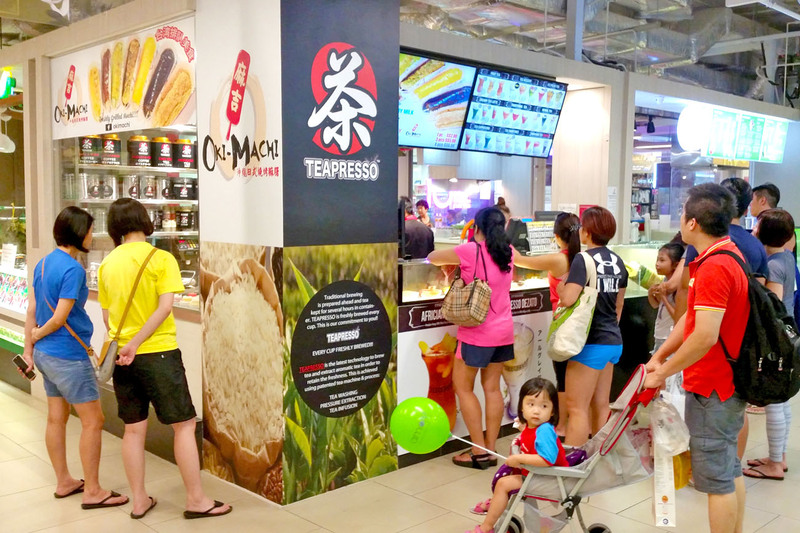 If you walk past Blk 190 Toa Payoh HDB hub (or The Seletar Mall basement), you may notice this tea kiosk having a queue during peak hours, looking like any ordinary bubble tea house in terms of appearance. When I went forward to order the drinks, I noticed this machinery looking almost like a coffee machine used in cafes. Turns out that Teapresso uses a new style to brew tea, using tea filter holders and the unique bulk brewing system. 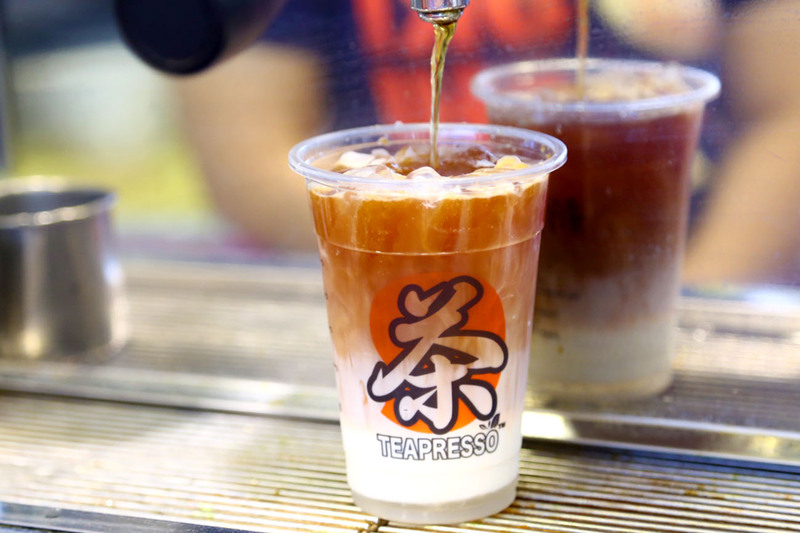 So unlike traditional espresso machines, the unique designs and multi-section pre-infusion enable the Teapresso machine to extract aromatic tea in a manner of seconds. This is contrasted with traditional brewing where shops will prepare tea ahead and keep them in containers for some time. 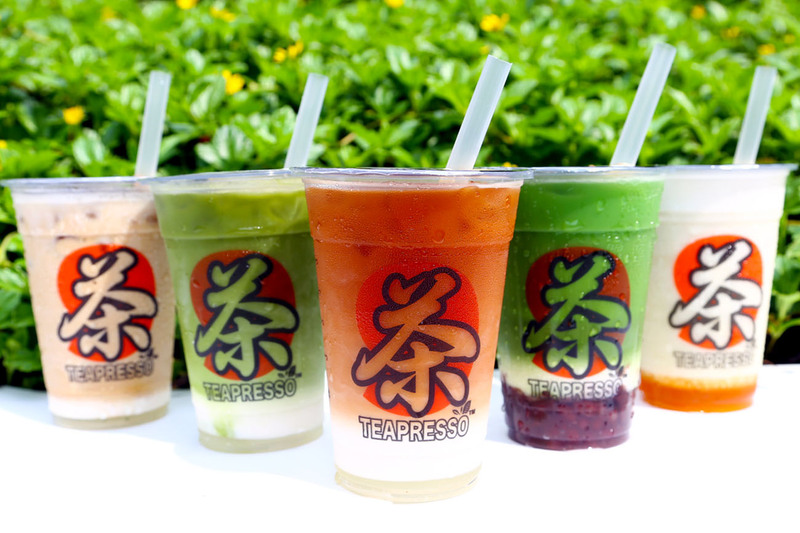 Therefore, you will find the tea having a fuller flavor and more delightful fresh tone. 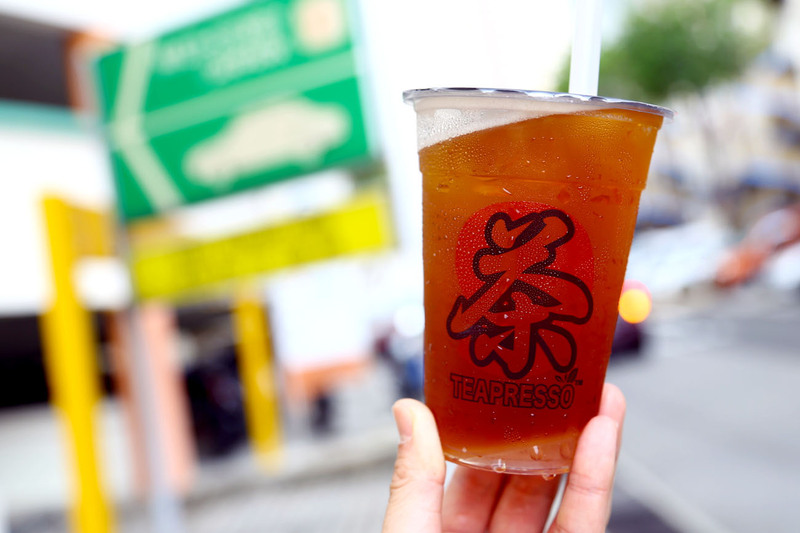 A herbal tea based drink, possibly my favourite thirst-quencher amongst those tried. While both components can potentially be strong in taste, the bright cool lemongrass worked harmoniously well with the spiced ginger. It also kind of reminded me of an after-spa drink (in a good way). A plus point: both herbs have health benefits and anti-inflammatory properties. Cooling and refreshing, great for the hot weather. The yuzu drink tasted more to the sweet-tangy and citrusy side though, and I would have preferred more of the slight bitter after note. 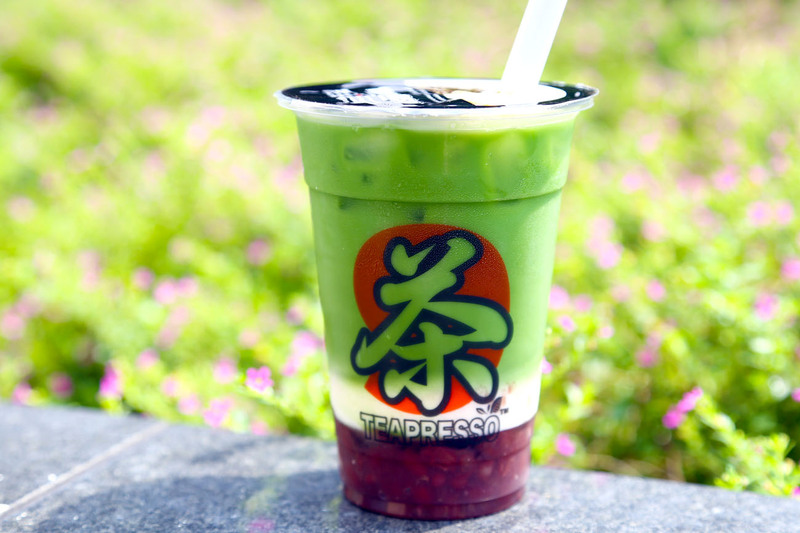 One of the top sellers, and many’s favourite combination of green tea latte with sweet red bean at the bottom. 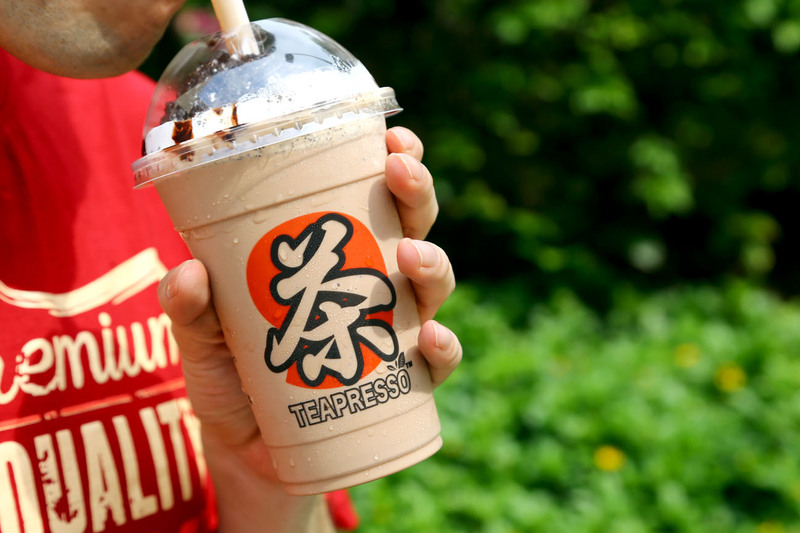 You can scoop it up towards the end of the drink, or mix them all together to have red bean on every sip. 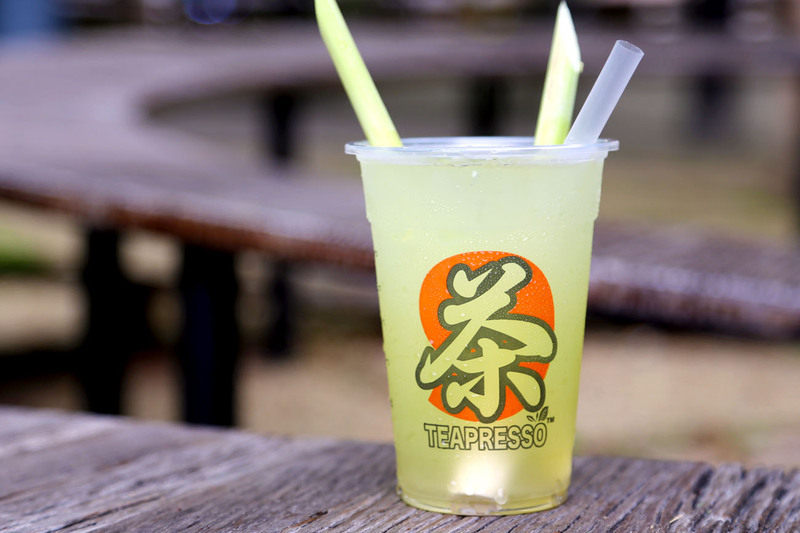 Not exactly what I would typically order, but I can imagine many of my lady friends loving this sweet-sour tang of this sng mui drink, especially as a perk-me-up during office hours. Like a dessert drink, containing ladyfinger biscuit, whipped cream and almond. The texture is smooth like a milk shake, yet not overly sweet. This has a mix of tangy tropical flavour of passionfruit with earthy taste of Highland tea. Another of their best-selling thirst quenchers. 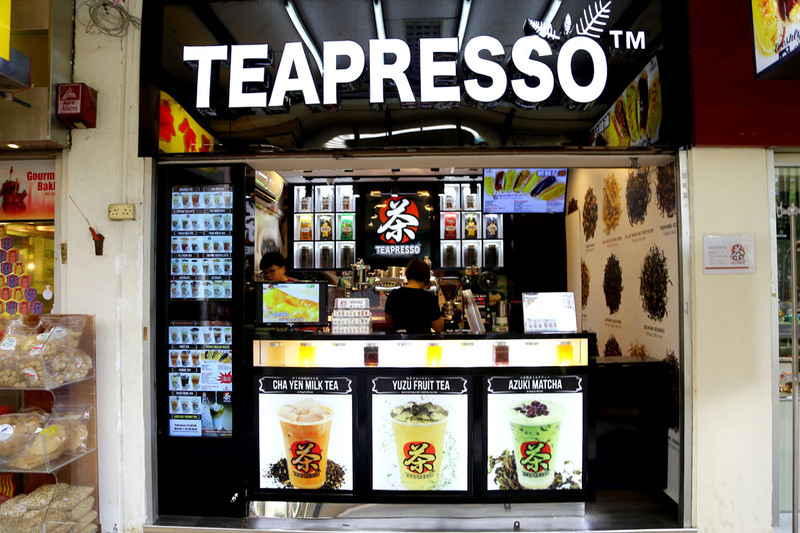 Interesting to see a Thai-based tea here, and Teapresso also uses the famous red labelled Number 1 brand from Thailand. The shop does not use evaporated or condensed milk though, so I felt something was missing after drinking. I think it is an age thing, and I am starting to appreciate black teas like Oolong. 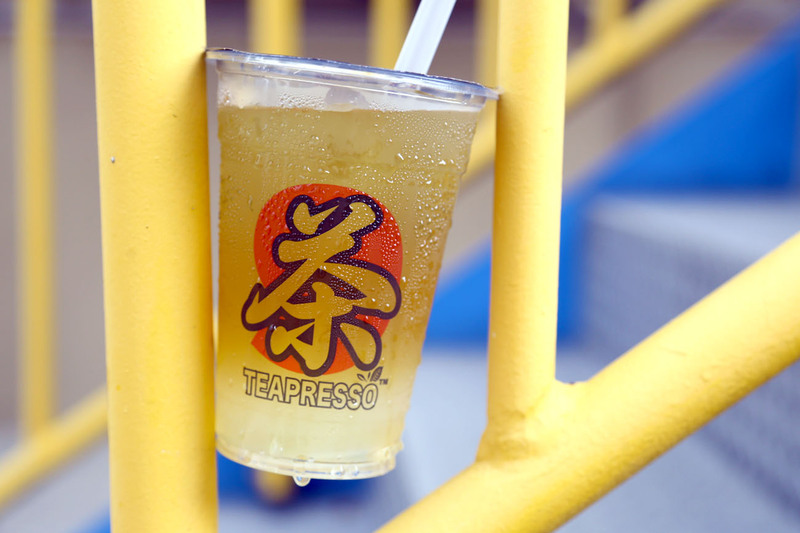 This cup brewed from Alishan tea leaves, is fresh tasting with a faint sweet and fragrant aftertaste. I like. 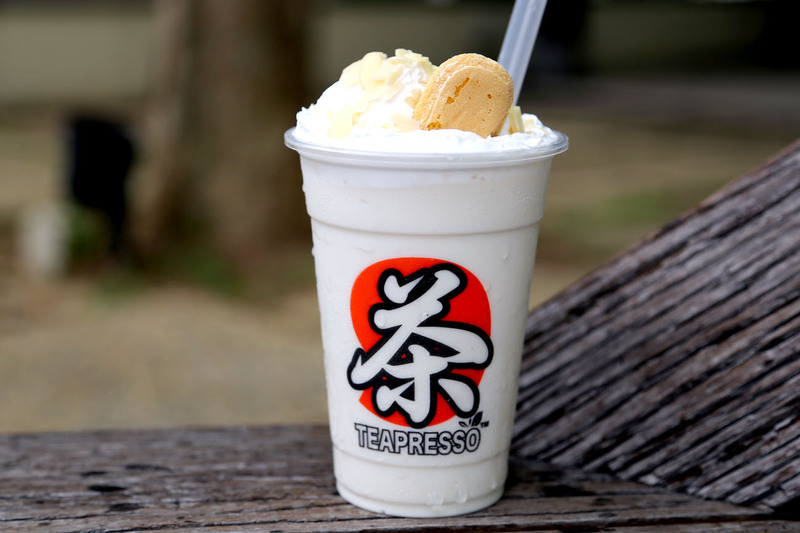 Other than Teapresso drinks, the kiosk also sells Oki Machi – Taiwanese style muah chee with different flavours such as Sweet Peanut, Matcha Creamy Milk, Tiramisu Cream and savoury types such as Nacho Cheese, Spicy Thai, and Ma La Spicy (1 piece $2, 4 pieces $6). 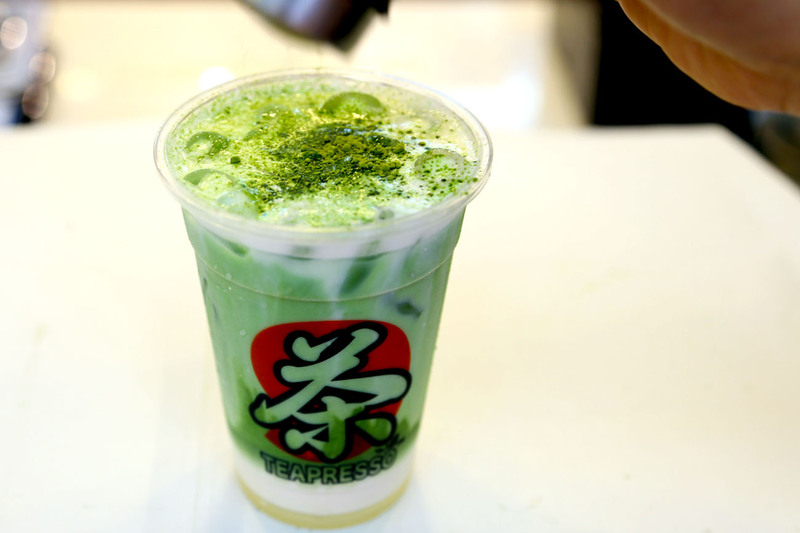 You may have seen stalls selling this at Taipei’s Shilin Nightmarket and Ning Xia Nightmarket. 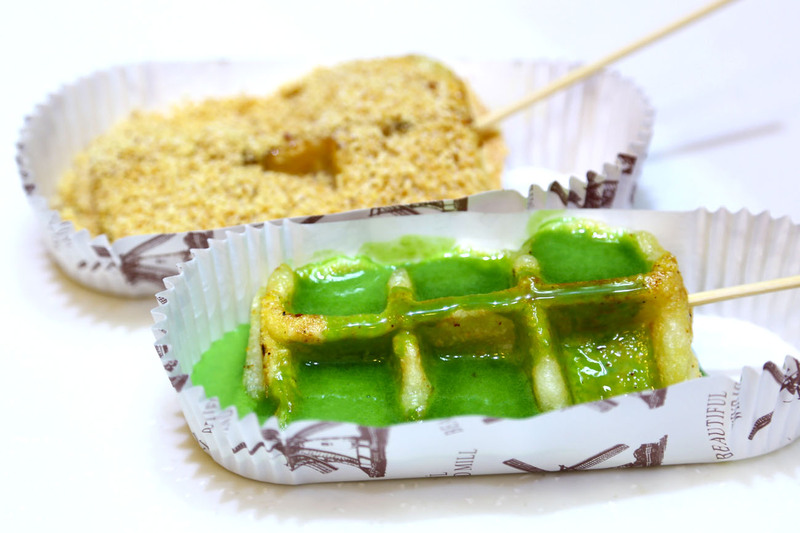 The sticks are freshly grilled on the spot using a waffle-machine, may have to wait a while, but you will leave with these crispy, chewy sticks drizzled with addictive sauces. Such an uncommon find in Singapore. 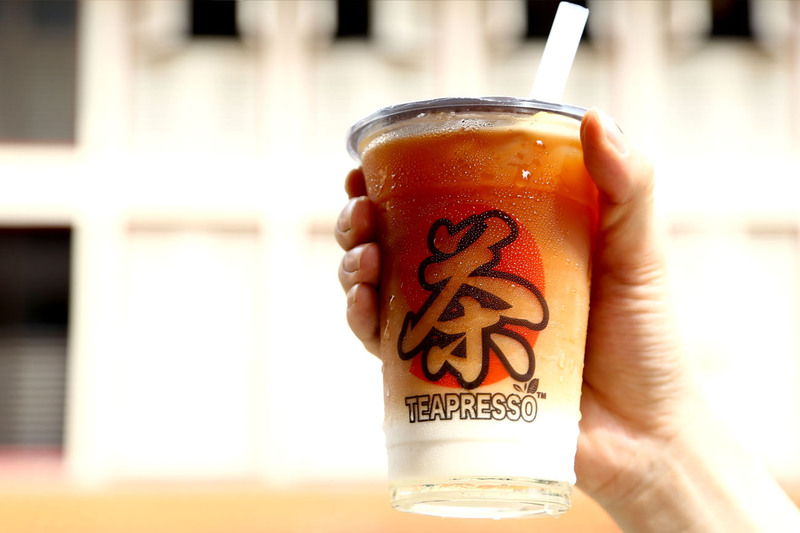 * This post is brought to you in partnership with Teapresso Singapore.